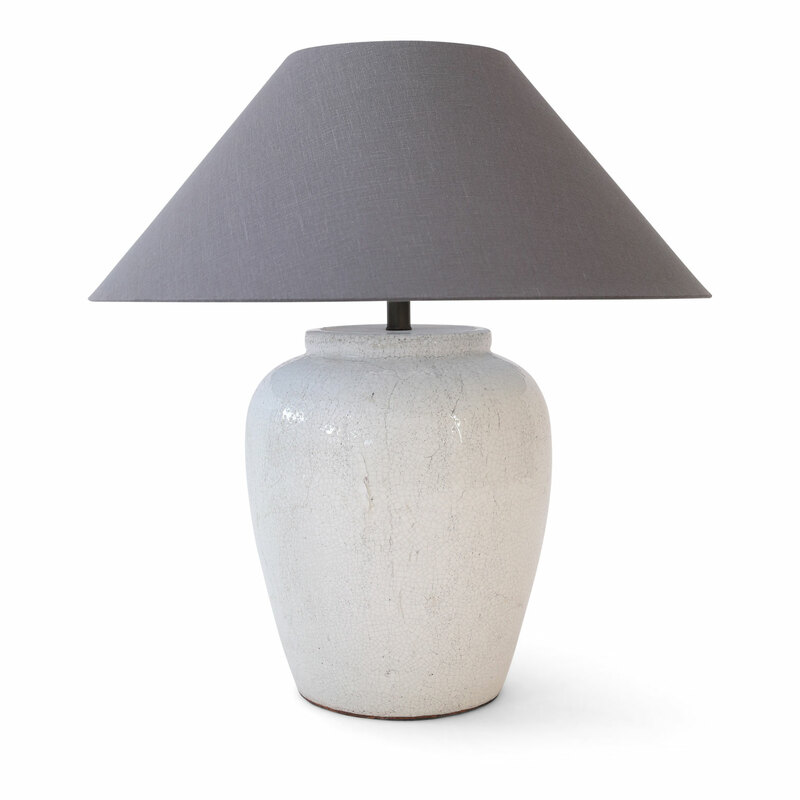 Two custom table lamps in crackle glaze finish and robust shape. Newly-wired for use within the USA. Measurements include complementary gray linen shade. Two available and sold individually $1,900 each. Condition: ExcellentNewly-wired (UL Standard) for use in the USA Standard medium-size base bulbs (Edison size): either incandescent or LED. Materials: Glazed terracotta and linen.